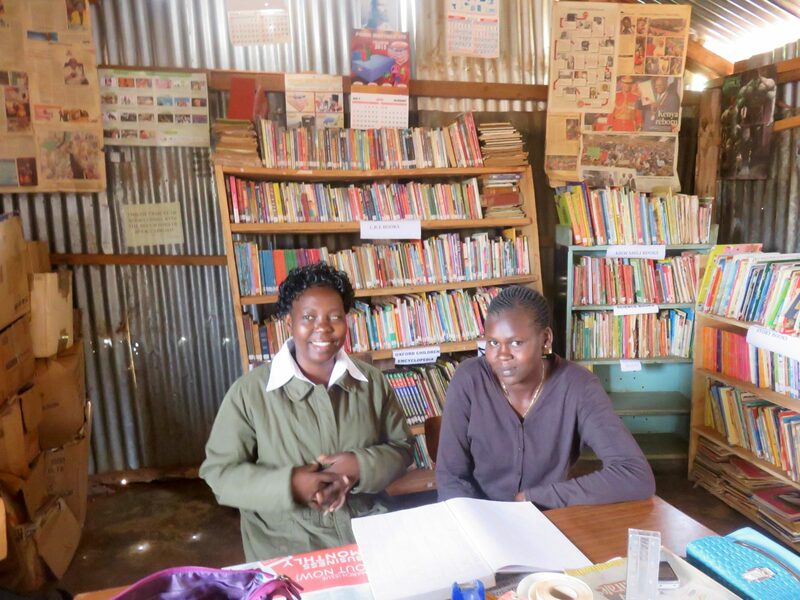 The library is well-resourced with a large number of books on a variety of subjects. It is also supplied with two newspapers every week day, one written in English and one in Kiswahili. These are well-used by both teachers and older pupils. There are plans to buy a weekend paper too, as educational supplements are usually included with them. 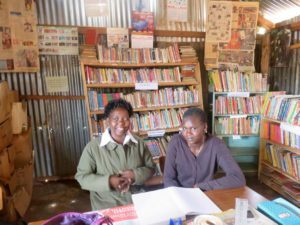 Mercy is the new librarian, and she is ably supported by Teresa on a temporary basis. 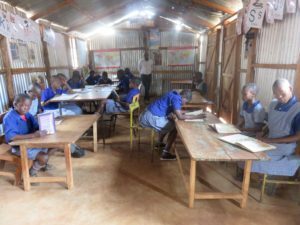 The library itself has been extended in the last few years so there is now space for a class of pupils to come along and for each pupil to read his/her choice of books. Each class is timetabled to use the library facilities once or twice per week. 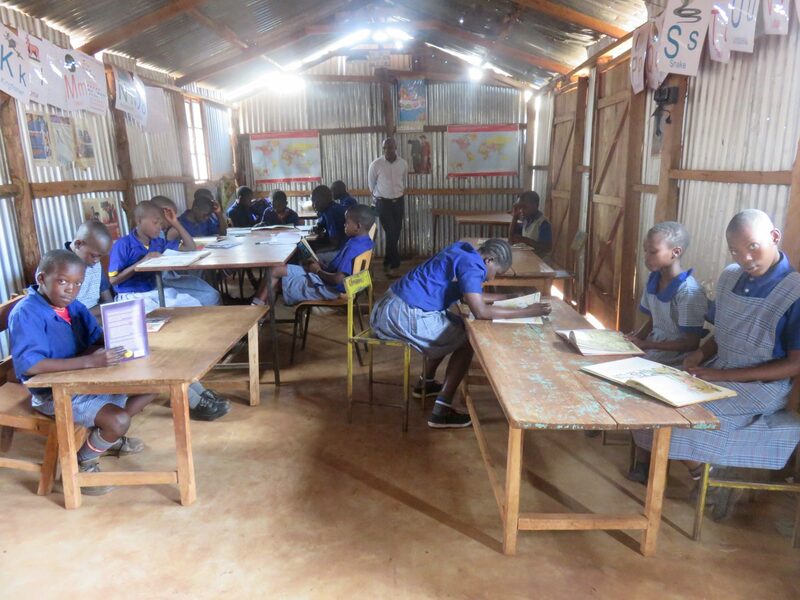 There had been no lights, which made conditions difficult for reading during the afternoons in the rainy season. This was put right by Phil, who installed a mini solar system providing enough electricity for lighting in the library. There are plans to apply for funding for a new building in the near future, which would increase the size, make room for more shelves and improve the facilities overall.